Don’t miss Miles Ahead (15) and The Jungle Book (2016) (PG) showing at Shortwave Cinema Bermondsey from Friday 29th to Thursday 5th May. Shortwave Cinema is open Bank Holiday with screenings of The Jungle Book (3:30 pm and 5:45 pm) Miles Ahead (8 pm). Don’t forget to check out their great cafe too. Miles Ahead is not just about the life and music of jazz legend Miles Davis. It’s about what we all face at one time or another in our lives; questions about who we really are, what we have to say and how will we say it. How will we ultimately be defined and who gets to say so? 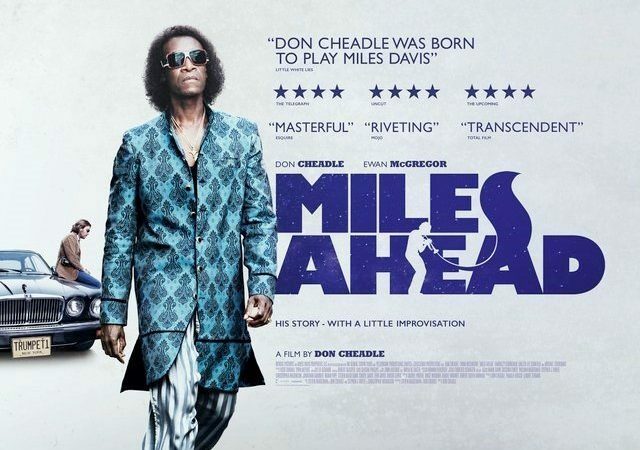 Watch Miles Ahead with the little’uns on Friday 29th April @ 2:30pm. Mothers, Fathers, Nans, Nannies, Aunties, Uncles…Left with a little’un to look after?! Rock them off to sleep in Shortwave’s cosy cinema and kick back to the weekend’s new release. *Subject to the suitability of the films that week for younger viewers – Please check the Shortwave Cinema Bermondsey.